Stuff yourself with our Strawberry Cheesecake Stuffed French Toast! Cut your French loaf into fifths and discard the ends. Slice halfway through each middle piece and open it to make a pocket. 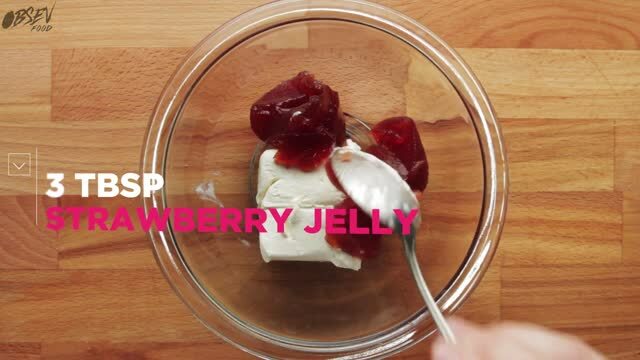 Mix your cream cheese and jelly in a bowl then spoon into each bread pocket. In a separate bowl whisk together your eggs, milk, and cinnamon. Heat up a pan and coat with butter. Dip your bread into your egg mix and fry on the pan until golden. Plate, pour over maple syrup, and enjoy.